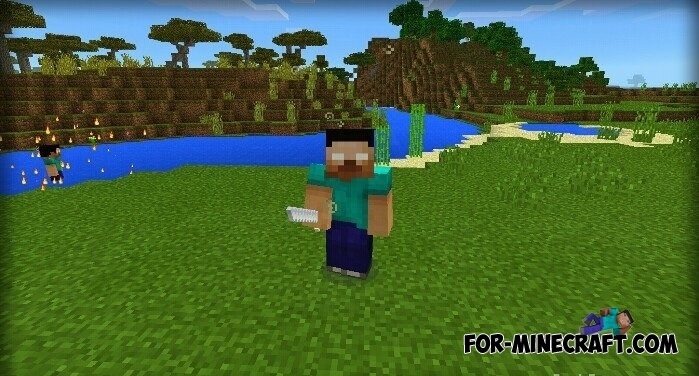 Fight with malicious Herobrine in a fierce battle after installation Herobrine Boss Mod. He has some amazing abilities, so make sure you are well prepared before you call it to a fight. But after the victory, you will find a good reward. You get a powerful armor set and a sword. To spawn Herobrine, you need to craft a special totem. Once a totem is ready, you need to tap into the core by flint and steel. 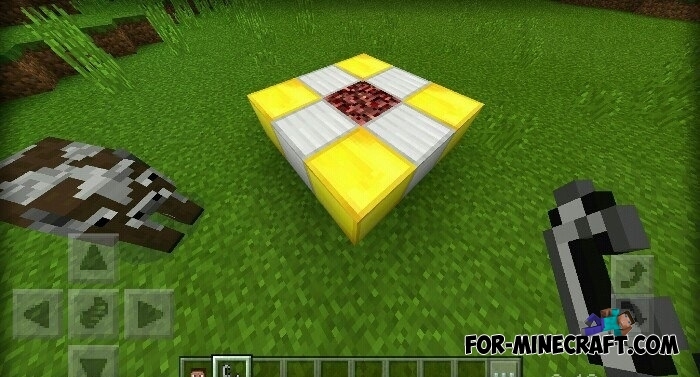 You better move away from the totem, because herobrine very aggressive and will immediately attack you. Your task is to defeat the enemy four times in a row. Then you can easily pick up his things and try them. Before the fight with him, take a powerful sword and armor. 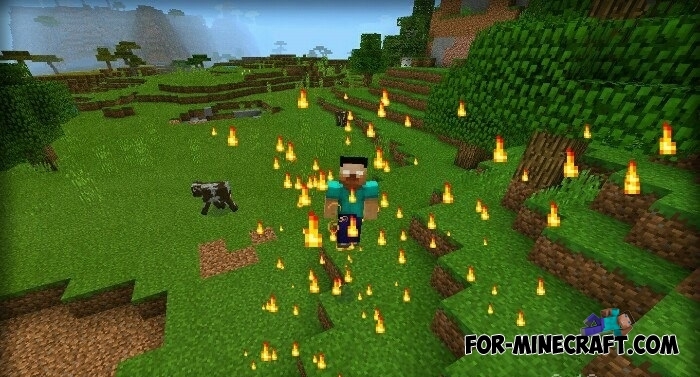 Herobrine is quite strong and will attack you to death. Also, you can download any PvP arena and spawn these mobs. So, the Herobrine Boss Mod will not let you get bored.